“If you come to a show, I want it to be moving, not get you moving,” explains Hayden Calnin. “I’m writing stories and wanting to take you on a journey.” Active for the past five years, Australian singer/songwriter Hayden Calnin is an incredible aural architect – a masterful storyteller and sound sculptor whose music reaches unparalleled depths of emotion and humanity. 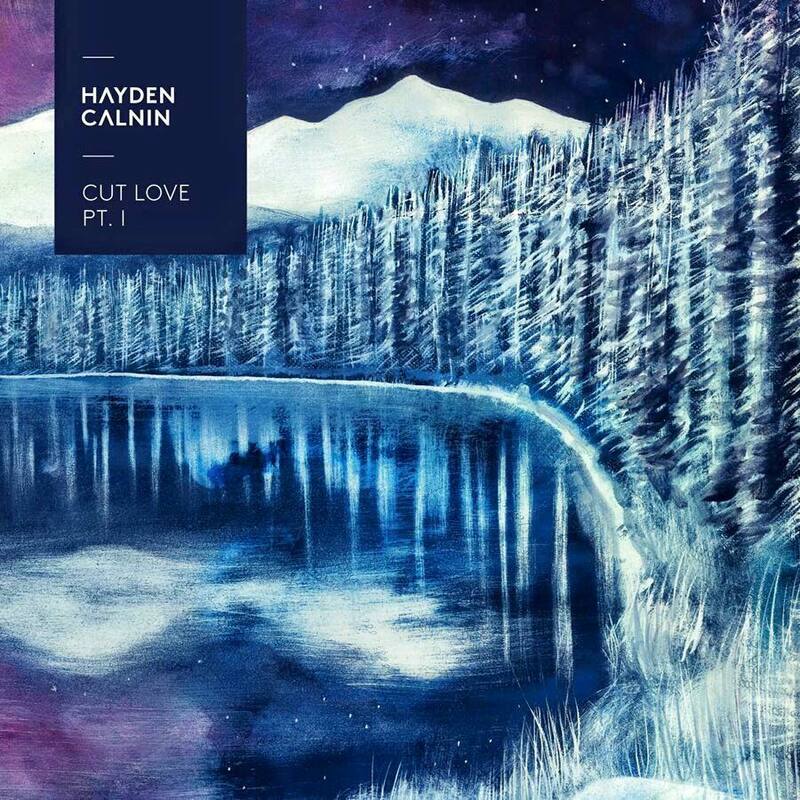 Blending elements of folk and electronica (“folktronica,” as it were) has lent Calnin comparisons to the likes of Bon Iver, James Blake and Tom Odell, but there has never been a question of Hayden Calnin’s singularity: From his 2012 debut single “For My Help” to last year’s massive two-part debut album Cut Love, Calnin has set himself apart as an artist with unique vision, boundless creativity, and captivating talent. With Calnin’s third independent EP Dirt out this Friday, July 14, it feels only fitting to revisit his latest work. Released in March and May of 2016, Cut Love Pt. 1 and Cut Love Pt. 2 collectively form an epic nineteen-track debut double-album. “I’m not making the rules, I’m just making music,” Calnin says of his prolific output. If you are aware of a state which you call is, or reality, or life, this implies another state called isn’t – Or illusion, or unreality, or nothingness, or death. There it is, you can’t know one without the other. And so as to make life poignant, it’s always gonna come to an end. That is exactly, don’t you see, what makes it lively! Liveliness is change; it’s motion, so you see, you’re always at the place, where you always are… Nothingness seems so very, very irrevicable and permanent. But then if it is, what about the nothingess that was before you started? On the contrary, it takes nothing to have something. Undoubtedly the artist’s magnum opus, “Cut Love” is bittersweet and heartbroken, a mix of subtle sounds that are sweet on their own, but utterly haunting when put together. Cut Love Pt. 1 makes the most of the warm, mellow tones introduced in its opener; ballad “Sorry for Us” is a biting whisper, “Small Leaf” a passionate cry along the wind. As a result, the energetic rise in “Honour” feels that much more emphatic, full of an emotional release that might not otherwise have been there. An impassioned pastiche of resounding music, Cut Love Pt. 1 aches and swells with feeling. The same could be said of Cut Love Pt. 2, where Calnin saw his ambition through even further with the help of co-producer Tim Carr at 301 Studios. Sonically fuller but equally as breathtaking as its predecessor, Pt. 2 brings Calnin’s emotional turmoil to a cathartic close. The drama begins to turn with “Caution Cares,” where Calnin’s sadness can be felt transforming into something warmer. The bolstered instrumentation allows that much more character to shine through, however Calnin’s preference seems to always be to do more with less. This can be felt particularly well in “You,” an impassioned ode where the artist’s voice soars with loving and melancholic emotion. He considers it the “quintessential Hayden Calnin” song, if ever there were one, and for good reason: Poignant and constantly building upon itself, the song highlights Calnin’s ability to make a whisper feel like a shout. No matter where you look, there ambient beauty is waiting to be embraced. 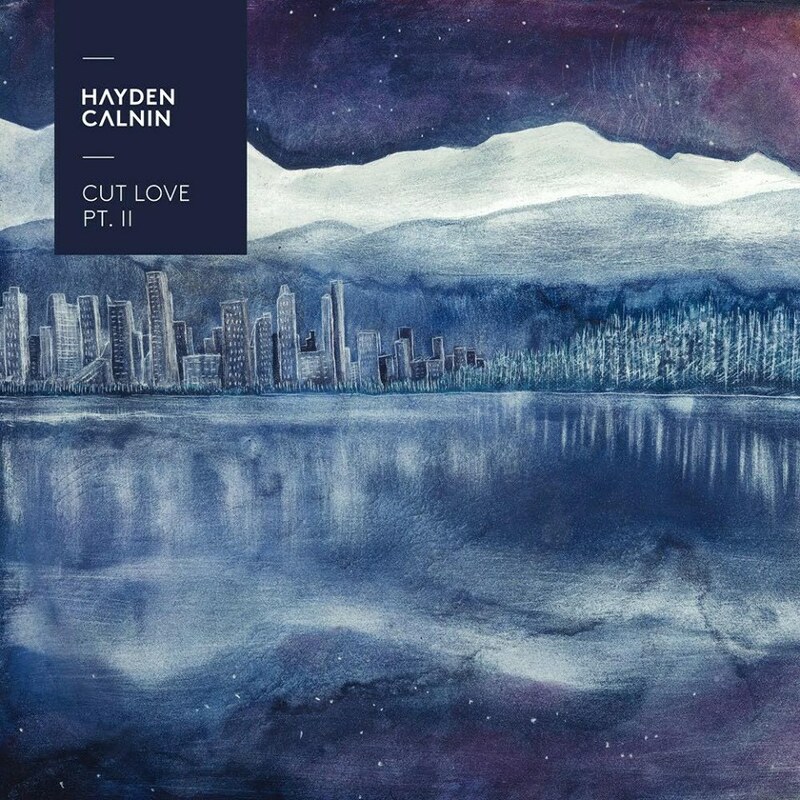 Hayden Calnin’s Cut Love captures emotional upheaval and turmoil, transforming it into transcendent music that is as relevant today as it was a year ago, and as it will be ten years from now. So long as pain, loss, and love persist, so too shall Hayden Calnin’s debut lend a moving soundtrack to their experience. 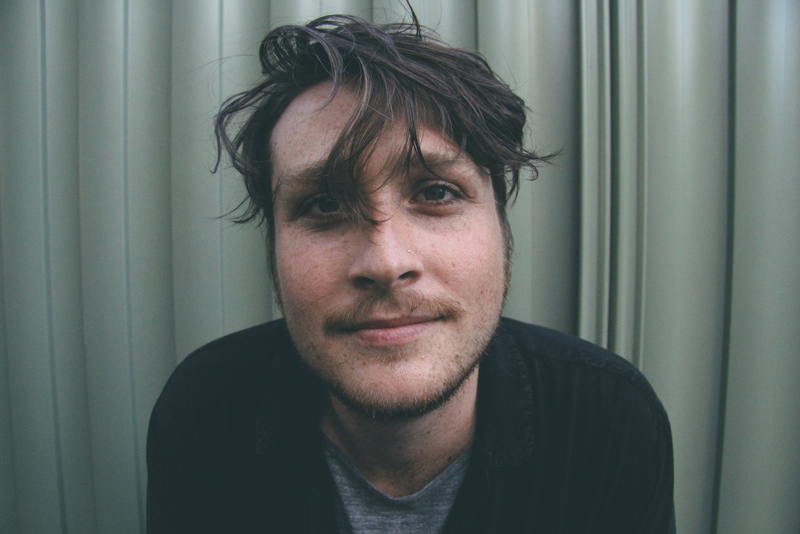 Dive deeper into Hayden Calnin with Atwood Magazine’s (long-overdue) Cut Love interview, and make sure to listen to both his epic debut album as well as his new Dirt EP! Atwood Magazine: I'm captivated by how you opened Cut Love Pt. 1: “Introduction; Nothingness” has perhaps one of the most fascinating quotes about life and death that I've ever heard. Who is that? Why open your record this way? Hayden: It is spoken by the late Alan Watts, a philosopher from the ’50s and ’60s. He is one of my greatest idols and his view on everything (or nothing) is simply beautiful. It was a really interesting process trying to get the rights to use the quote. I had to contact his son who runs his estate. I’ve been a huge fan of Watts’ for years and being in direct contact with his family made getting the rights to use it even more special. “Cut Love” the song feels like a magnum opus: Your “Bohemian Rhapsody,” as it were. It's a pastiche, a patchwork and a cohesive, whole body all in one. How did you make it? Why did you make it? Hayden: I don’t really know how it came to be the way it is. It started out so raw and empty, and I just kept getting deeper into the song and getting to almost 8 minutes and telling myself to stop. I could’ve kept going with it, to be honest. There were a lot of things that I had to pull out of it, too. At one point there were huge beats and a synth solo in there but it was just too much and it took away from what I initially set out to create with the track, so I stripped it back. Of all the tracks, “Cut Love” was the one I spent the most time fine tuning to get it right. Atwood Magazine: Is Cut Love Pt. 2 the sequel to Cut Love Pt. 1? Is it a continuation, or should we treat these as independent bodies of works? Hayden Calnin: Treat them as you will. I’m not making the rules, I’m just making music. I chose to put them out as a double album because all the songs are reflecting on a certain period of my life and collectively tell one big story. They were divided according by the places in which I recorded them. Part I was recorded at home, while Part II was recorded up in Sydney at 301 Studios and co-produced with Tim Carr, so in doing so, had very different sounds. “Caution Cares” opens Part 2 and dives right into the deep end. Why open the record with this song? How did you want to set the tone? Hayden: It’s the song which I think best sets the mood and feel for the tracks that follow. Initially I had it sitting around track 4 but changed my mind only a few weeks before its release. What was the easiest song for you to write on the records? Hayden: I honestly don’t know. They were all a big journey and quite a blur now that I look back at it. What were the hardest songs to create and put on each of these two records? Hayden: The hardest was definitely “So Nice To Meet Ya.” I think I reworked and re-recorded that song about 6 or 7 times in different ways. Where do you find you struggle the most, as an artist? Hayden: I guess fitting into the live scene. I’m not writing bangers; I’m writing stories and wanting to take you on a journey. If you come to a show, I want it to be moving, not get you moving. That probably sounds a bit wanky, but it’s what I’m trying to achieve and it’s an art form that can continue to grow. Having now fully realized and released the Cut Love series, who is Hayden Calnin and how is he different from the man who began working on these records (how long ago was that)? Hayden: I’m in a completely different headspace these days, as to the one I was in when I was writing all these songs and recording them. I’ve certainly grown a lot over the last year and a lot has happened in my life. I’m really excited as to what’s next and getting back into writing and recording. I still find myself looking back at “For My Help” as the quintessential Hayden Calnin song for me, but maybe I'm living nostalgically and in the past. What do you think is the most quintessential Hayden Calnin? Hayden: “For My Help” seems to be the song that brings a lot of new people to my music even though it’s 4 years old. But the quintessential track for me would have to be “You,” I think. It’s a song which I wrote around the same time as “For My Help”; it just took me years to record it. It’s stuck around, which is a rarity. There are so many songs that I’ve written and then just let go of which is something I guess every songwriter goes through, but “You” has stuck around. Certainly some of these songs must be more and less personal than others. What was the most far-off topic you wrote about for this record? Hayden: There isn’t really one. I guess “Launch” is a bit different to the rest. It is very raw and although it’s sad sounding, it is actually a happy song for me. It’s about finding new love and heading in to it hard and fast. What is your favorite song off the new record, and why? Hayden: Still I think, it is “Cut Love.” It is certainly the song that really affects me when I perform it. What do you pride yourself in most, when it comes to your own music? Hayden: Lyricism. I think it is something that is lacking in a lot of what you hear on the radio these days. I’m very proud of holding true to telling stories. I’m very proud of holding true to telling stories. In the first album's art you depict a forest surrounding a lake; in the second, we see a cityscape next to the forest. What does the album art mean to you and how does the album art reflect the music on each album? Hayden: It’s representing the two previous EPs I put out. The City EP was recorded predominately in Melbourne where I now live. While the Oh, Hunter EP was recorded in the forests of the Mornington Peninsula where I grew up. The album, I thought, should represent where I’ve come from, not where I’m going. The album, I thought, should represent where I’ve come from, not where I’m going. Now that Cut Love Pt. 2 is 'finished', where do you, Hayden Calnin, go from here? Hayden: I start the cycle again! It’s time to write! Do you ever turn off that creator nozzle and switch gears? Is that within your capacity as a music maker? Hayden: I never used to but this year has been a little different. I’ve had a little time off writing and just focused on a few other things lately, but winter is beginning which means it’s writing season. Thanks Hayden - we all wish you the best, and thank you for your work. Hope to have you in New York soon. Hayden Calnin’s Dirt EP is out 7/14/2017. Stream it below, but be sure to start your journey with Cut Love, an epic masterpiece of sonic fury that promises to provoke the mind and stir the soul.